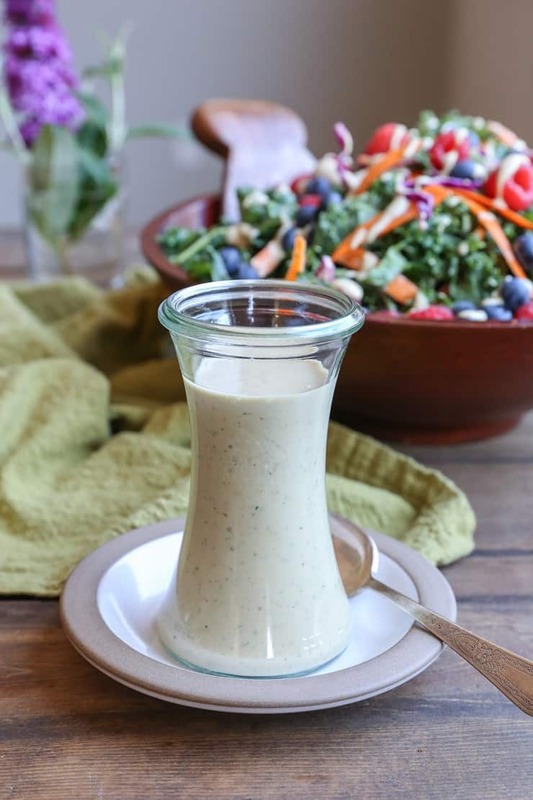 Creamy vegan buttermilk salad dressing made with all whole food ingredients. This healthy dairy-free take on salad dressing is easy to prepare in your blender and is paleo friendly! Last weekend, the boyf and I visited his family for his niece’s first birthday. It was a BBQ/pool party with tons of amazing healthy food, and one of the dishes was a kale salad with a creamy buttermilk dressing. I was hooked on the salad, to the extent that the first thing I made when we got home was – you guessed it – that very salad. …With one small change, though…the dressing. 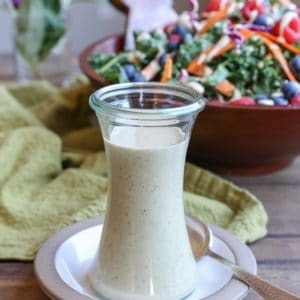 While I’m not intolerant of dairy, I do try to limit it, so I decided to fashion up a creamy vegan “buttermilk” dressing in lieu of the original. Have you ever made a homemade vegan buttermilk? It’s actually super simple…basically, all you need is a non-dairy milk and lemon juice (similar to making regular buttermilk). 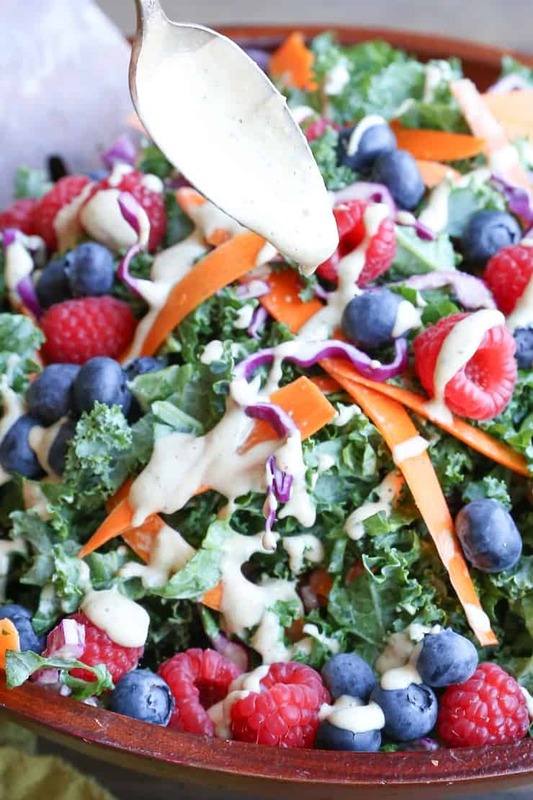 In order to make a buttermilk salad dressing, you incorporate the non-dairy milk and lemon juice with a few additional ingredients to make it thick and flavorful. When I was researching vegan buttermilk dressings on the internet, I surprisingly didn’t find a plethora of recipes, so I figured I had better fashion one up and share. I did find one recipe that called for soaked cashews, and as fate would have it, the grocery store I normally attend was out of raw cashews, so I used the same replacement I’ve been using quite a bit lately: sunflower seed butter. Using almond milk, lemon juice, sunflower seed butter, stone ground mustard, garlic, and fresh parlsey and chives, you end up with a super flavorful creamy vegan dressing that you’d never in a million years guess is dairy-free. If you’re all about going the soaked cashew route, feel free! You’ll need one cup of raw cashews, which you’ll soak for at least 3 hours. Simply drain the cashews once they’ve been soaked and proceed with the recipe as normal. You can also look at this as a vegan green goddess salad dressing, as if I were compelled to make a vegan green goddess, I’d honestly use this exact recipe. So there you have it: some straight-forward ingredients, your blender, and a few minutes of time is all you need. 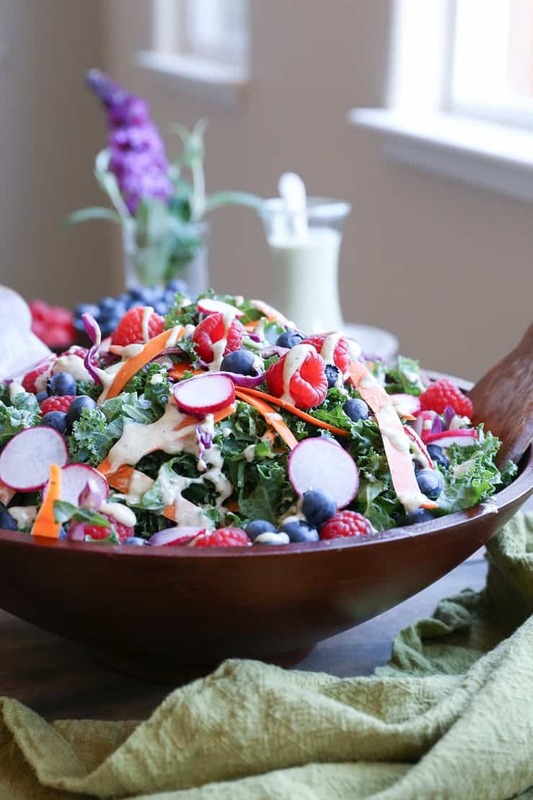 Use this on any of your favorite salads – it goes great with my Kale and Blueberry Salad! Add the ingredients for the vegan buttermilk dressing to a blender and blend until completely smooth. Taste the dressing for flavor and add sea salt to taste. Store in an airtight container for up to 1 week in your refrigerator, and use on your favorite salads! 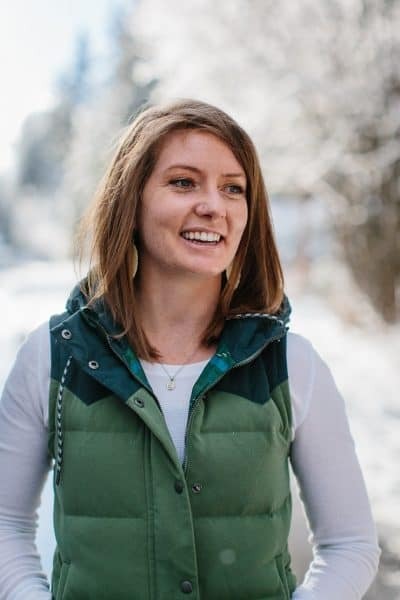 **Replace the sunflower butter with 1 cup of raw cashews - soak the cashews for at least 3 hours, drain them, and follow the rest of the recipe as normal. 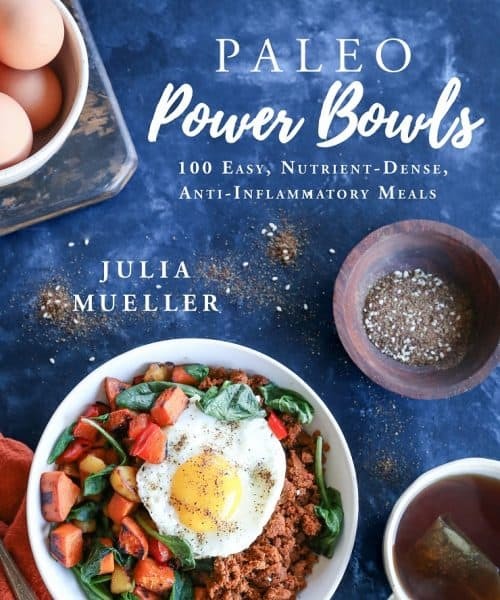 Dude using sunflower seed butter in this is brilliant! Now I want a big ol’ salad with lots of this dressing on top! Any guess on the macro content of this dressing? This tastes lovely, particularly after letting it sit in the refrigerator for a few hours to let the flavours develop. It doesn’t look anything like the picture, though, being an avocado green colour from the sunflower butter and the herbs blended together. I love your creative use of ingredients to make a unique dressing. has anyone tried this replacing the sunflower butter with 1 cup of cashews?